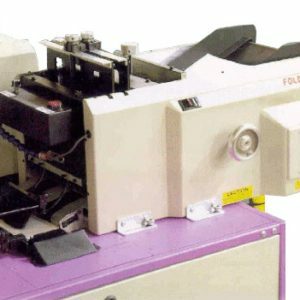 Mailcrafters IntelMail Apollo Production Mail Inserting System - Roberts Business Machines, Inc. The state-of-the-art complete intelligent production mail finishing system was designed and manufactured to answer your toughest production mail challenges. The APOLLO system, its Greek God namesake, has the strength and ability to handle your everyday tasks while looking to the future production mail challenges. APOLLO’S unique combination of in-line reading, gathering, folding, and inserting capabilities allow for a rapid, efficient, and secure method of starting and completing your production mail tasks with a minimum amount of labor and a maximum amount of confidence. APOLLO’S ability to read Optical Marks, and/or Bar codes enhances the system’s flexibility, allowing your organization the opportunity to maximize your standard technologies in the pursuit of absolute document matching and integrity. The standard APOLLO system comes complete with an INTELMAIL proven in-line reading, gathering, and folding module, combined with the “EDGE SERIES” MAILCRAFTERS 9800-6PM Inserter. 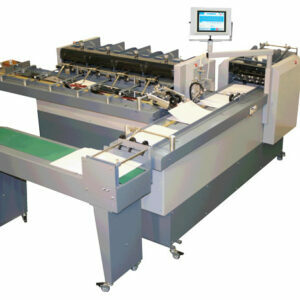 The Inserter is a 6-station (6X9) insert with turnover capability and an accompanying 5.5 ft. conveyor.